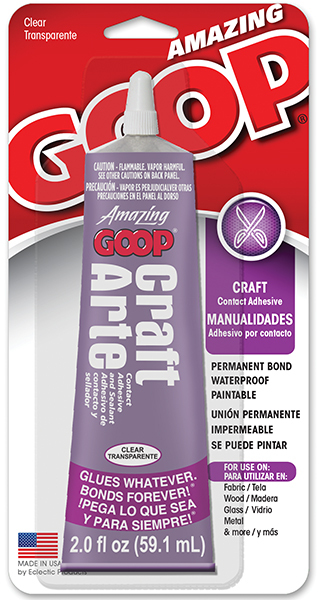 Amazing Goop Craft is the perfect contact adhesive to use on your favorite projects because it seals and sticks to a variety of materials including canvas, ceramic, fabric, glass, leather, metal, rubber, vinyl and wood. It’s also waterproof, washer/dryer safe and dries clear. Industrial Strength, Flexible, Water-proof and Paintable.